We’ve all attempted a celebrity workout at some point. It works for a couple weeks, you see progress and get all excited, then a couple busy weekends kick in and you’re back to square one. You see him/her on the big screen at the movie theater and make a crack about how you’d look like that if you had all the time in the world … plus a personal trainer, nutritionist and chef. Chris Hemsworth is introducing an app that takes those excuses away and just might help you sculpt a Marvel-worthy figure. It’s called Centr, and it includes a wealth of videos, tips, recipes and training from Thor’s hand-picked team. Here’s how it works. 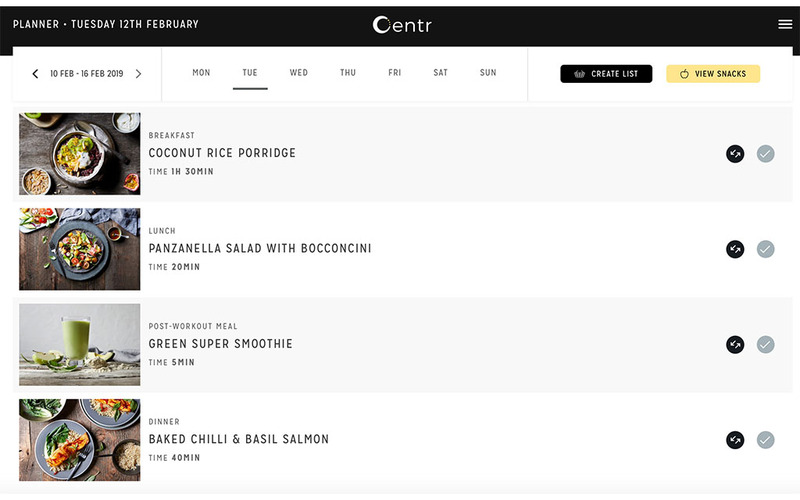 Centr went live earlier this month and is essentially a subscription-model lifestyle app, priced at $16 a month, or $96 over a year, which will help you live and look more like Hemsworth (and his wife, actress Elsa Pataky — the app isn’t just geared toward men), with a balance of strength training, HIIT and yoga, plua curated dishes and meditation sessions. As far as business models go, it’s a pretty safe bet people will be interested. I was ready to run through a brick wall after watching the app’s trailer this morning, and I even signed up for a one-month membership. Chris was kind enough to offer the first week free. 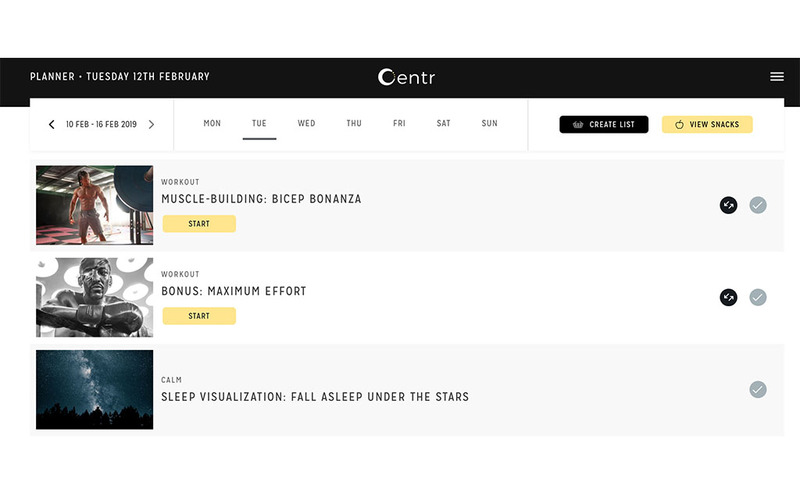 Each week, Centr’s team uploads new content, geared to meet personal/training questions you answer when signing up. I entered my height, weight, diet, exercise level, and goals (with an emphasis on strength training), and Centr spat back out a week’s worth of work-outs, meals and destressing techniques. As someone who likes to stay in shape and eat healthy, but often does so in a mundane routine, this is huge. Plus, the emphasis on mental health is a welcome surprise. Naturally, some will ask, “What sets this apart from other fitness apps on the market, aside from the Hemsworth angle?” I’d reply: Don’t discount the Hemsworth angle. And definitely don’t forget how much money that guy makes. (Up to $12M a flick.) His body has access to the best in the business, and with Centr, so do you. 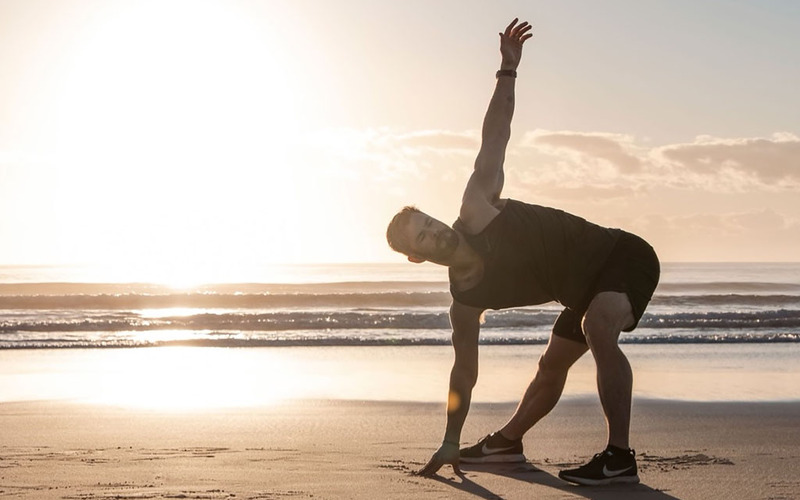 Included on the team are his personal trainer, an ex-Navy SEAL, a Hollywood stuntman, a professional ballet dancer, Michelin chefs, world-renowned yogis, and psychotherapists. To subscribe to Centr head here, and to download the app, head here.